Learn Katakana: The Ultimate Guide Memorize katakana in hours or days, not weeks or months. So you've learned hiragana. Good for you. Ready to do the same thing all over again so you can learn katakana? This guide assumes you went through our hiragana guide already, so it won't explain how and why this method works. It uses the same style techniques, worksheets, and exercises. It also skips the pronunciation explanations (except when a katakana character is different from hiragana). 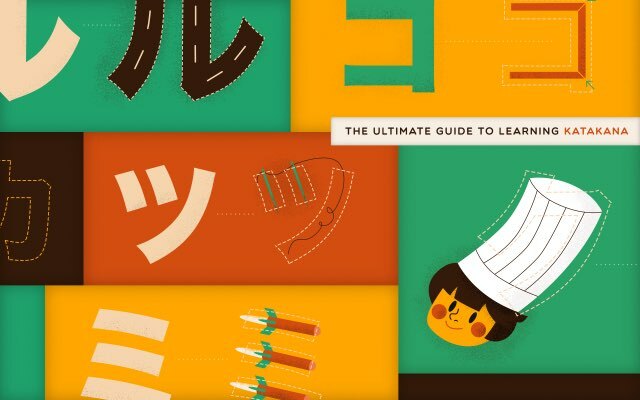 If you haven't yet, please review the learn hiragana guide before you begin learning the katakana. If you have, then you know the drill. Let's get started with the first ten katakana. In terms of what you're learning, it will be very simple. 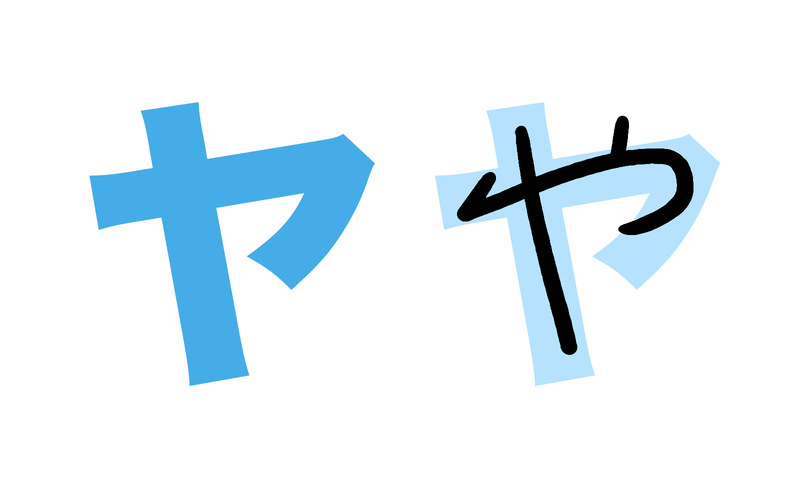 Katakana is, for the most part, the same sounds you learned with hiragana. But, the characters representing those sounds are different. It would be like if in English you replaced the letter "A" with the symbol "ア" without changing how it's used and pronounced. When Do I Use Katakana? 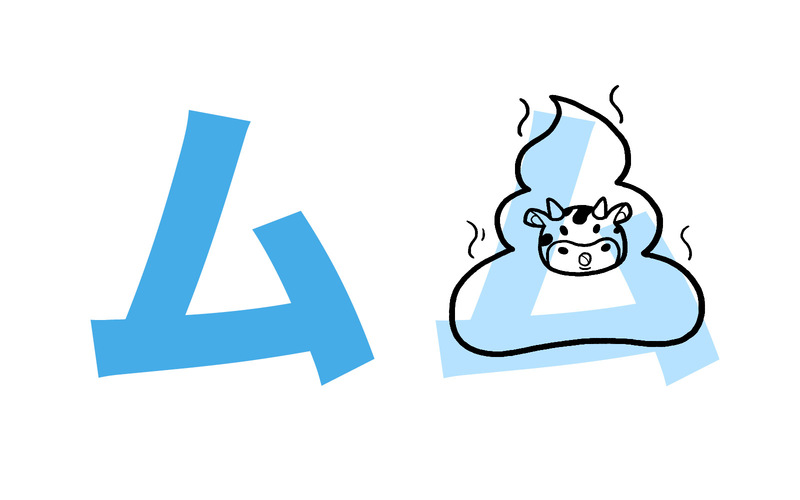 Katakana is used for a variety of things. The most common use is to transcribe foreign words (non-Japanese words). There is some issue with this though. The sounds available in the Japanese languages are not as flexible as other languages. So, words that are transcribed to katakana often don't sound like the original. As you get used to it, though, you'll begin to not only understand non-Japanese words that have been made "Japanese", but also know how to say foreign words using Japanese sounds (and write them in katakana). 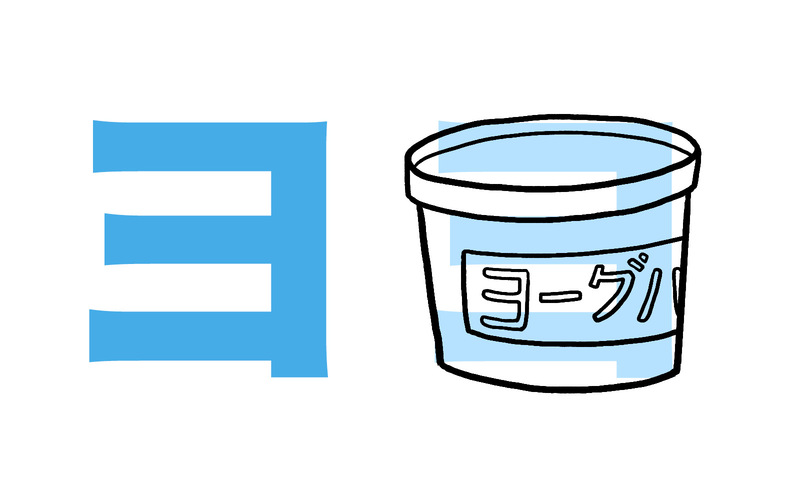 Many foods (especially animal and plant foods) are written in katakana too. 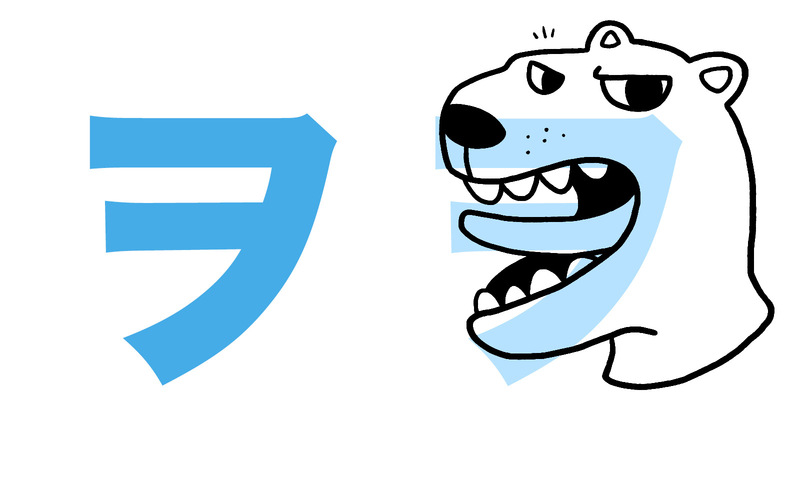 Company names will sometimes write their names in katakana. When someone wants to emphasize text, much like writing in italics in English. 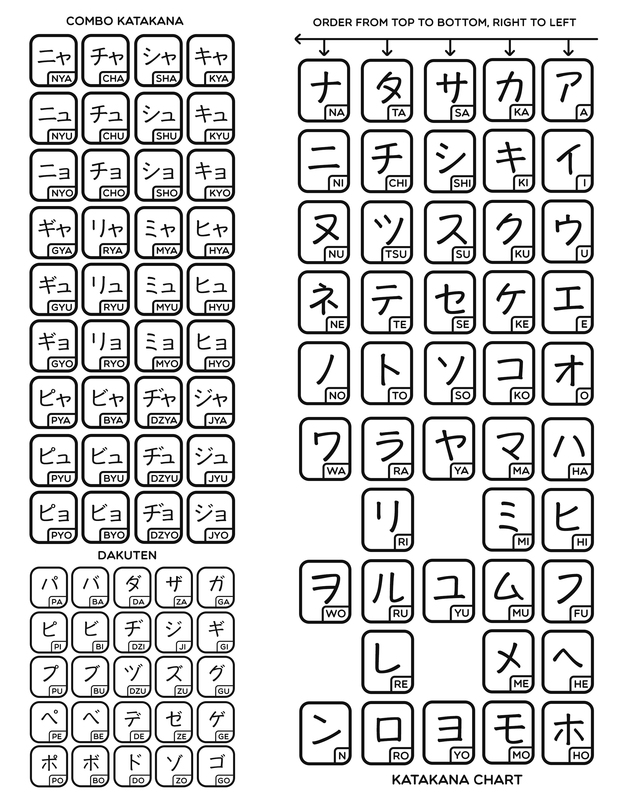 To begin, download this katakana chart. If you have a printer, print it out. If not, you can follow along digitally too. As with the hiragana guide, just follow each and every step and you'll come out the other side with the ability to read katakana. Some of you will finish this guide in hours, others days, but overall it should be pretty quick. Learning katakana is a lot easier since you already have that hiragana foundation. At least, I hope you do. Because of this, I want you to learn ten katakana characters right from the very start. You can handle it, can't you? 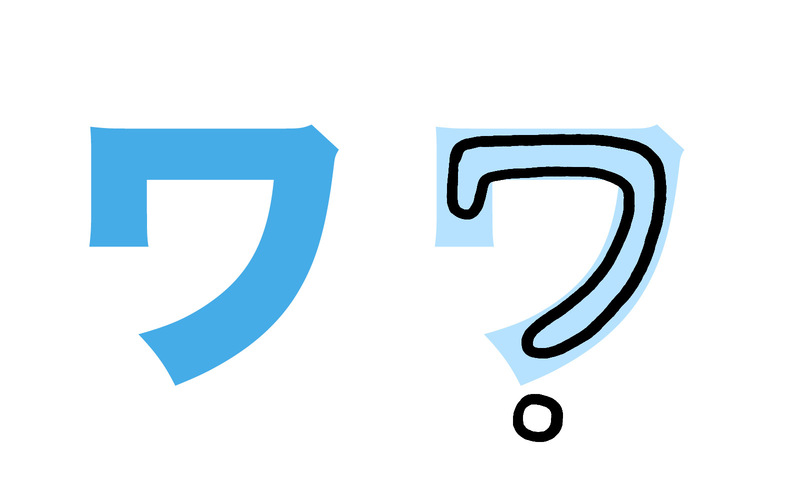 As you know from learning hiragana, the first five katakana characters are going to be vowel sounds. After that, it's just that consonant + vowel pattern until we reach katakana's version of "n." For the most part, everything will be pronounced exactly the same. When there is an exception to the rule I'll let you know. Otherwise, this guide does not focus much on pronunciation because it assumes you already know it. ア is the katakana for "a". ア has a deformed capital letter "A" in it. You have to turn your head to the side and connect some lines, but it's there. イ is the katakana for "i". イ looks like an eagle, standing on the ground, or on a branch, or wherever. You see its legs and its back, curved down like an eagle's? ウ is the katakana for "u". 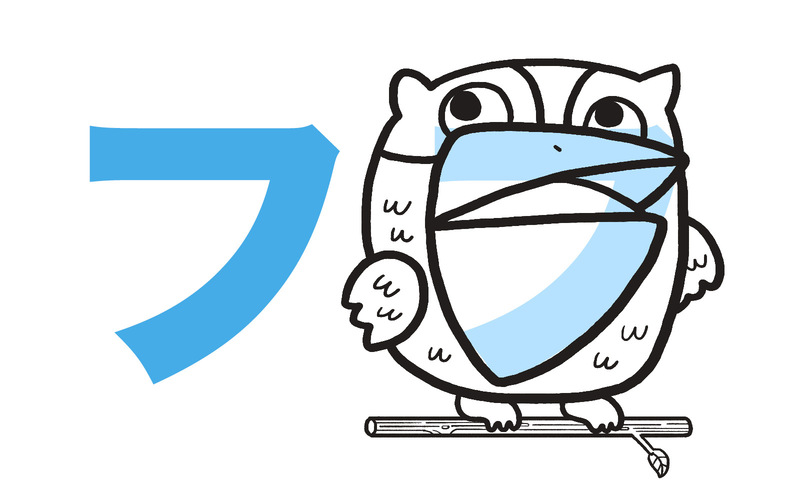 This katakana character looks a lot like its hiragana counterpart: う. It should be similar enough to use as a mnemonic to remember what it is. 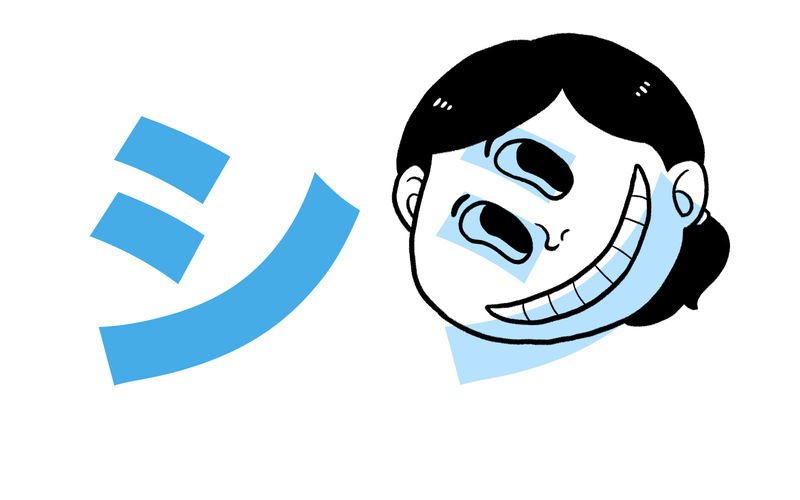 エ is the katakana for "e". Imagine this is the girders an engineer would use to build buildings. 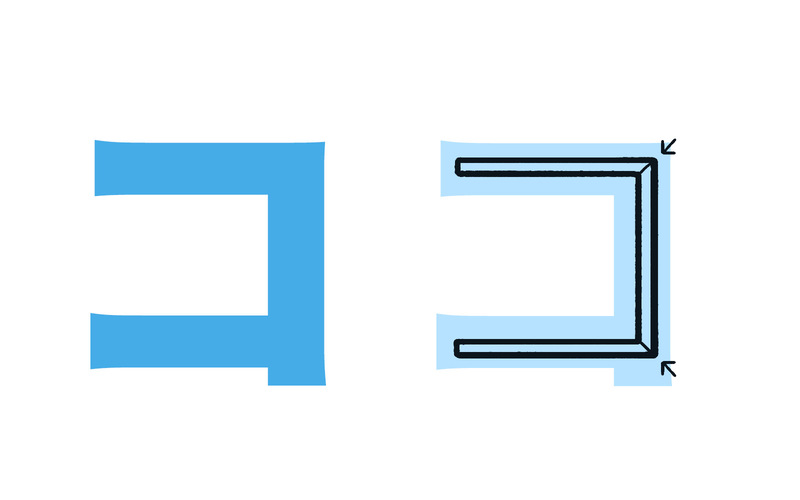 This character is in the shape of the end of a girder, and its made up of them too. Or, you can think of it like an elevator, with its doors closed. オ is the katakana for "o". This kana looks like a dude flapping open his trench coat to flash you. "Oh my god," you say. "Oh no." カ is the katakana for "ka". 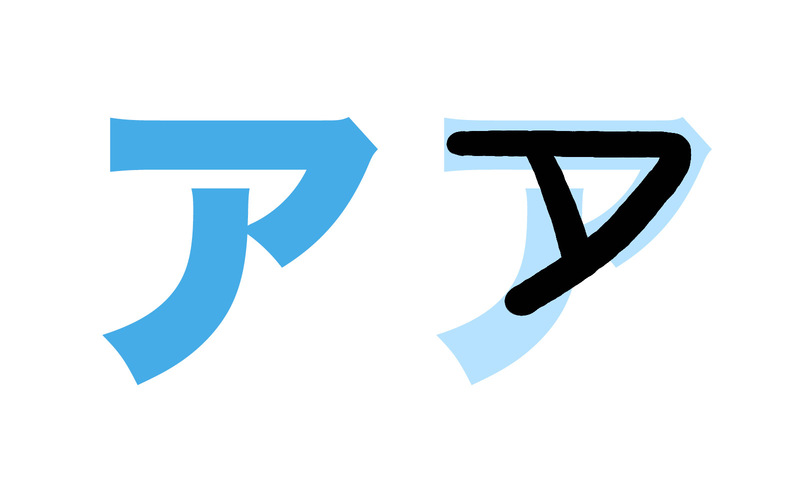 It looks just like the hiragana for "ka", though it's missing that little extra line. Close enough to make it easy to remember, though. 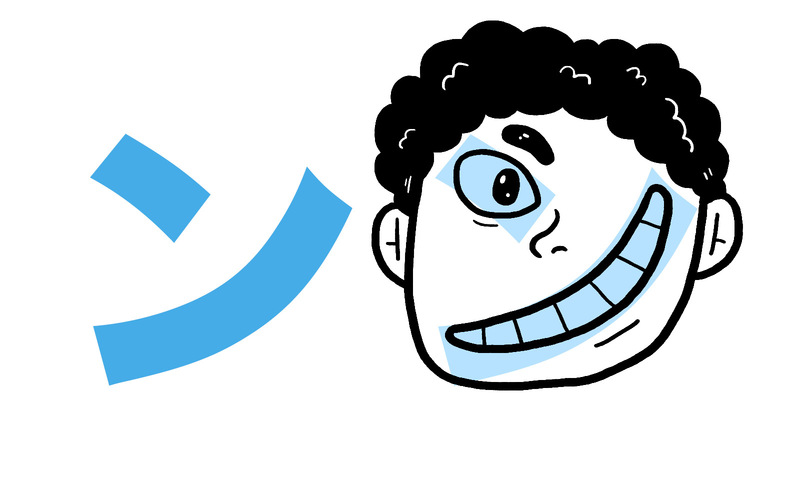 キ is the katakana for "ki". 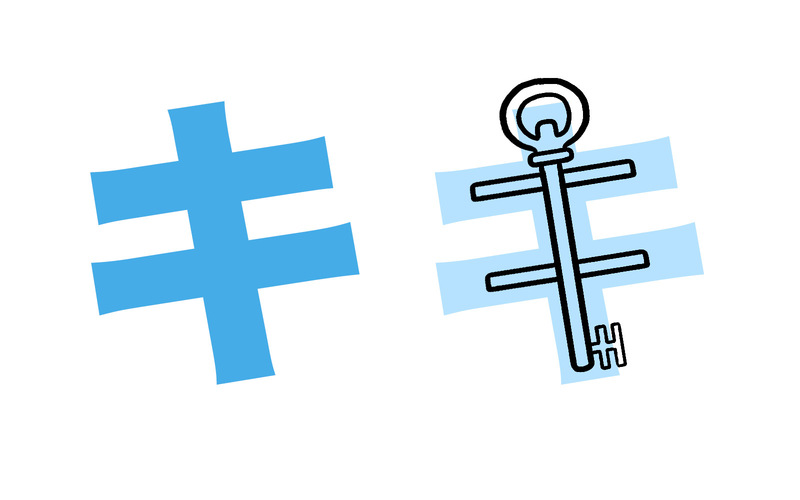 It looks like the hiragana for "き" (the top part at least) and also looks like part of a weird key. ク is the katakana for "ku". This looks like a long cook's hat. ケ is the katakana for "ke". It looks like the letter "K"! コ is the katakana for "ko". See the two 90 degree corners? 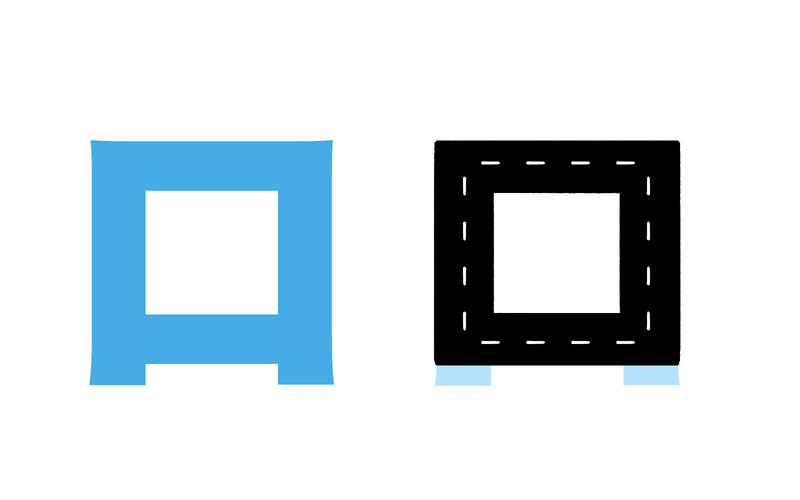 The two corners are what help you to remember that this is "ko." Now that you've put these kana into your brain (at least somewhat shakily) it's time to pull them out. Recall is the foundation of memory, and you're going to start doing just that. For each "tasks" section make sure you follow along perfectly. Skipping these steps may cause you to fail later on in the future. Having a strong base to build off of is important with each section. 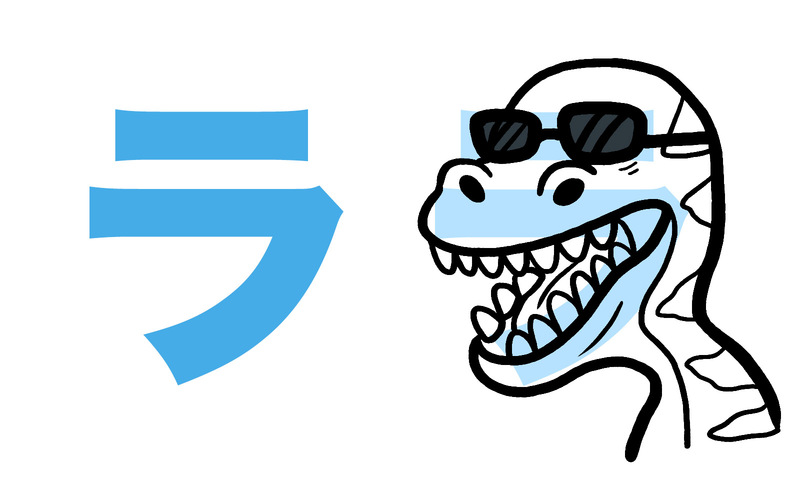 Head over to the website Drag n' Drop Katakana. All I want you to do is to find the five kana you just learned (a-i-u-e-o-ka-ki-ku-ke-ko) and drag them to their correct spot. That's it! It's an exercise in recognizing the kana you learned as well as matching them to the correct sounds. When you've done it once hit the refresh button and do it again and again until you're able to get it done in 10 seconds. Print out, copy, or download this worksheet. You'll need to go through it, filling in the boxes with the romaji for the kana. Try your best not to cheat – even if you spend a while trying to remember a kana it will be beneficial to your memory (as long as you're able to recall it on your own). Looking up the answer doesn't help your memory at all, but struggle (with accomplishment) tells your brain that this is a thing worth remembering. Try using the mnemonics when you need to recall something you can't figure out right away. This should be fairly easy with only ten kana (and maybe a little boring too), but when you're done move on to the next ten katakana. Now that you have the "A-column and K-columns" under your belt it's time for the "S & T-columns." You should already know about the "exception pronunciations" from the hiragana guide. サ is the katakana for "sa". This kana looks like three sardines, stacked on top of each other. The right side one is longer because you use your right hand to pick it up (it's heavier too). This only works if you're right handed. シ is the katakana for "shi". 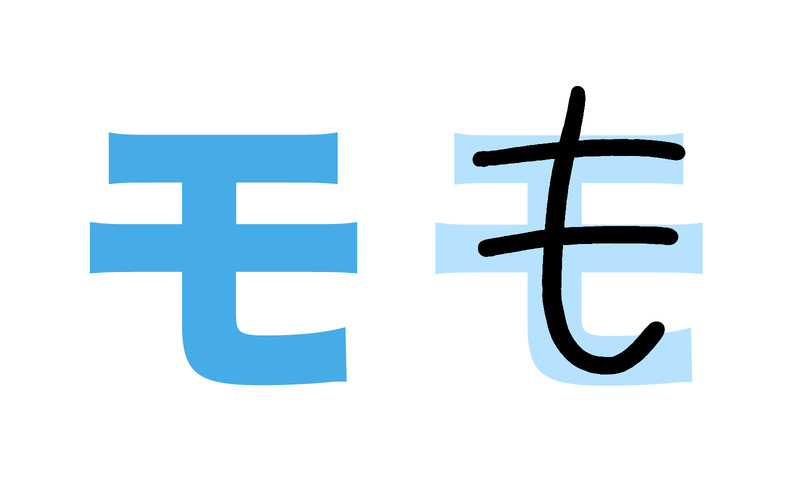 This kana looks like a smiley face, but something is wrong with it. Both eyes are sideways and stacked on top of each other like some deep sea fish. She has a very weird face. ス is the katakana for "su". 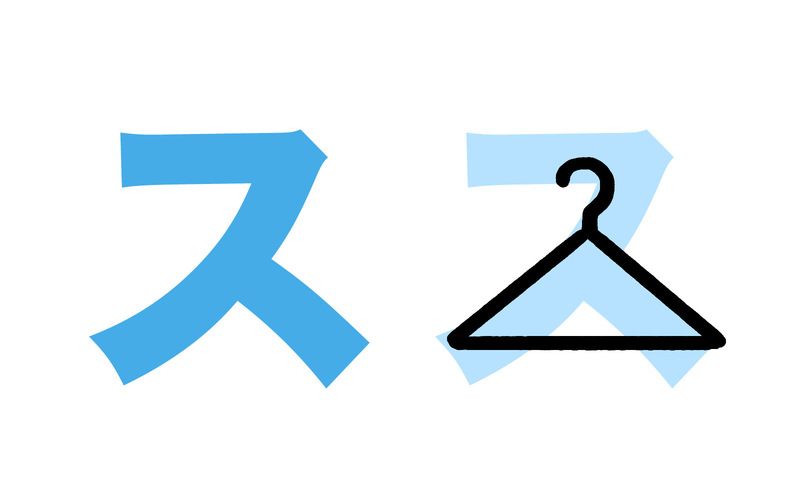 This kana looks like a hanger, with which you hang up your fancy suits. 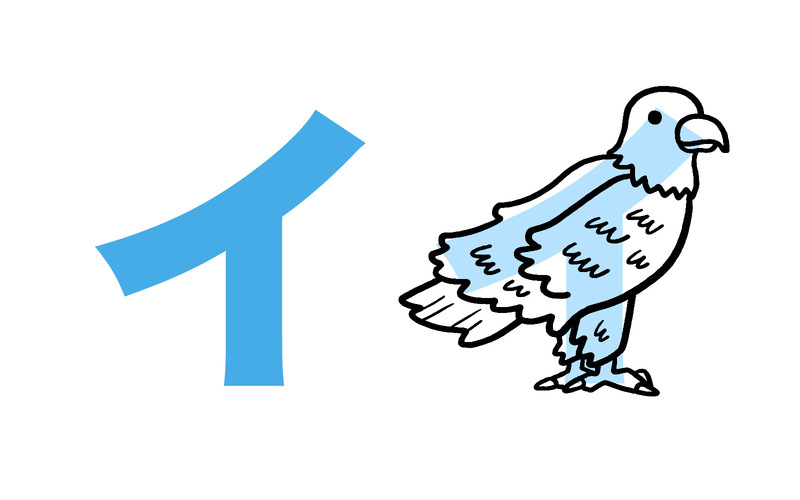 セ is the katakana for "se". 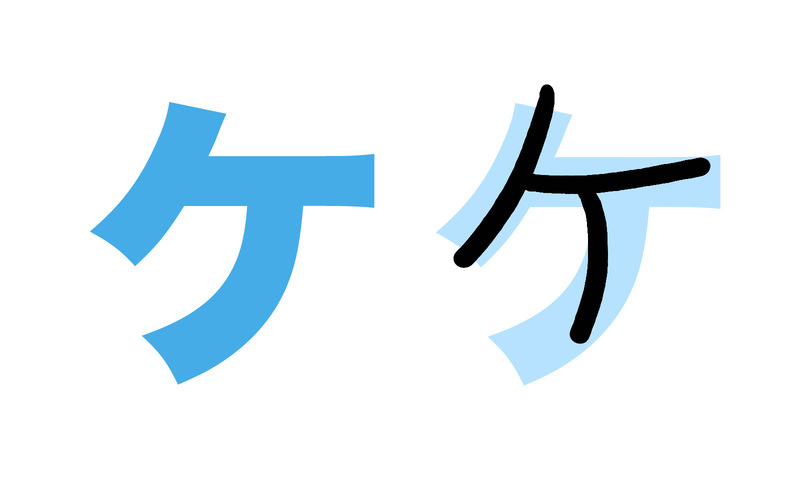 It looks really similar to the hiragana せ, so you should be able to use that to remember this kana. ソ is the katakana for "so." It is one needle and a long thread, which you use to sew. Remember, needles are always vertical like this needle, because you need to stab it through something, straight down. This will help you to differentiate this one and the very similar ン. タ is the katakana for "ta". 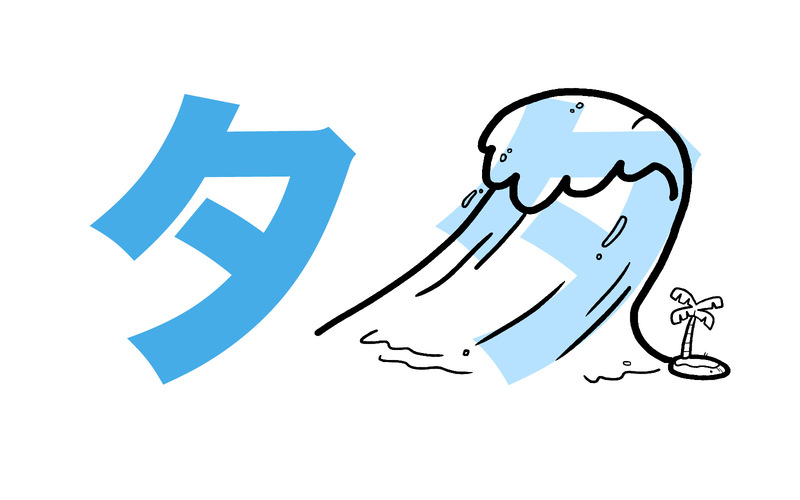 This kana looks like a tidal wave, racing across the sea. チ is the katakana for "chi". Doesn't this look like a cheerleader, doing a cheer? 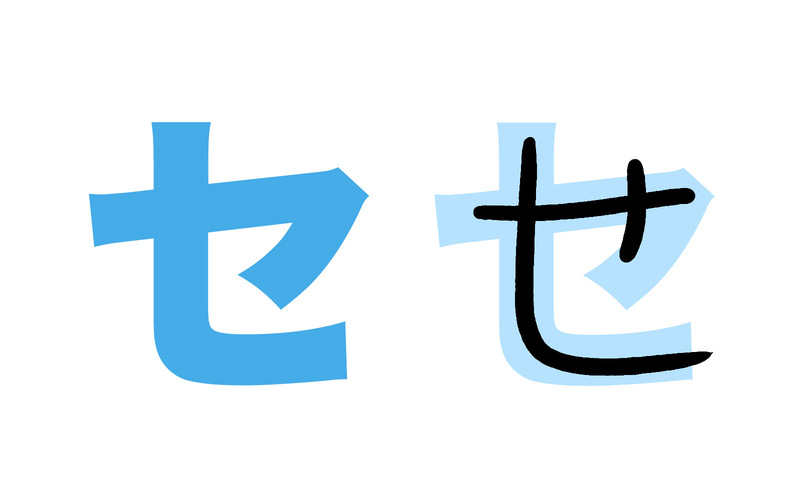 ツ is the katakana for "tsu". Instead of one needle and thread (ソ), you have two needles and thread. 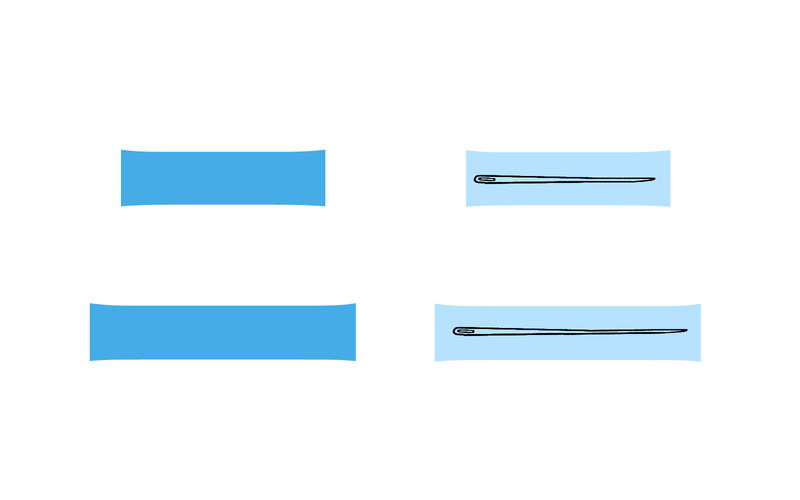 Remember, needles are vertical because you use them to stab into cloth, straight down. 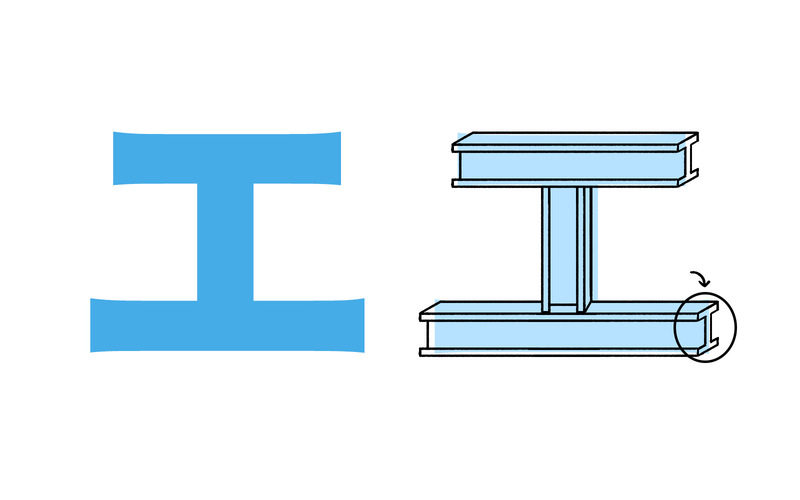 This will help you to differentiate this one from シ, which has more horizontal lines. Horizontal lines means it's a face, vertical means it's needles. So this one has two needles. テ is the katakana for "te". 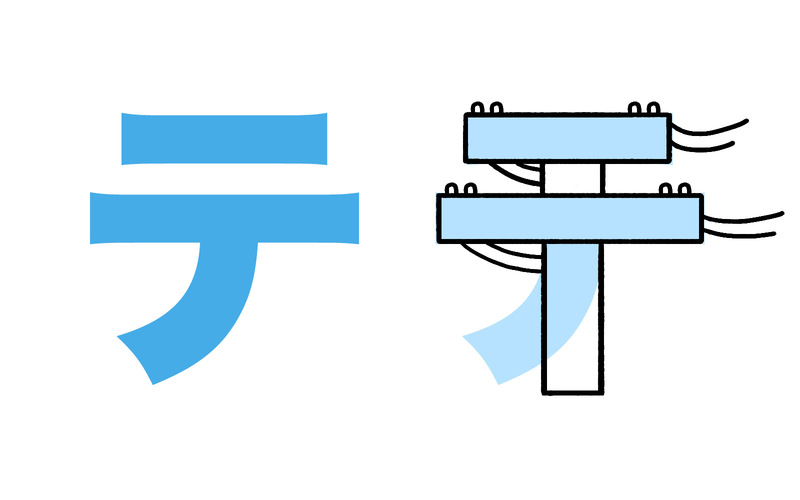 This kana looks like a telephone pole. ト is the katakana for "to". It looks just like a totem pole. Now that you've done another set of ten, it's time for exercises! As usual, these exercises will help you to practice katakana you've previously learned plus the ones you just learned. Back to our best buds Drag n' Drop Katakana. 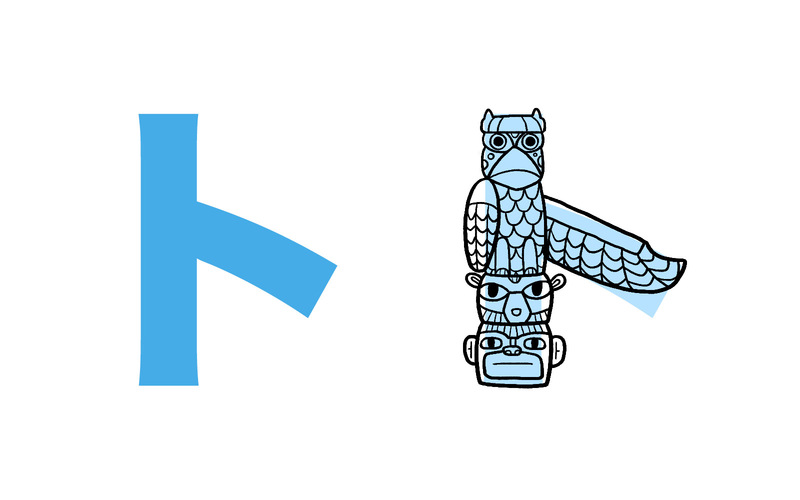 Identify and place the ア, カ, サ, and タ columns into their spots. Do this several times and see if you can do it all in under 30 seconds (or just complete the task 5 times). Once you're able to do either of those, move on. Using this worksheet, print out, copy, or download it and fill out the boxes with the correct romaji. If you can't remember something try to think back to the mnemonic first before cheating. When you're able to do these two tasks move on to the next five kana. 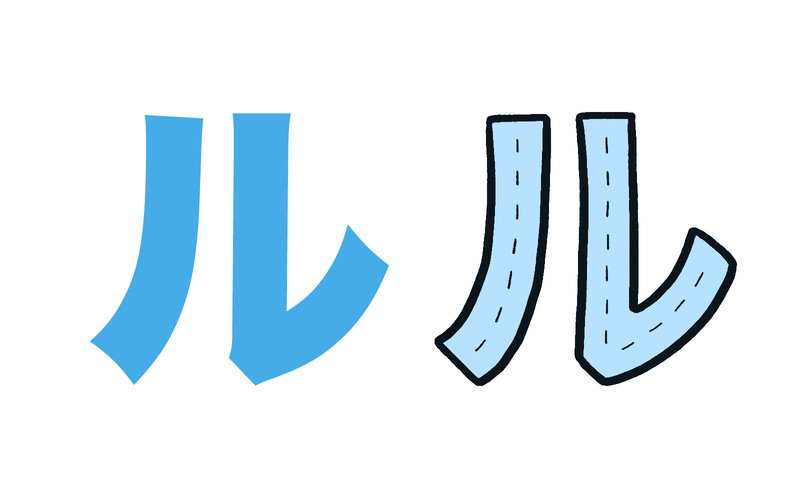 Great – it's time to learn your next ten katakana! ナ is my favorite. Who doesn't love a narwhal? ナ is the katakana for "na". See the majestic narwhal, swimming up to the surface? What a beautiful creature. ニ is the katakana for "ni". This is two needles, laying on their side. Now, don't get confused about how I said that needles are always vertical… that's only with the katakana that have the slope in them (ソ and ツ). When they're on their own, resting, and not being used to sew anything (no thread) they're just two needles laying on their side. ヌ is the katakana for nu. The chopsticks are grabbing onto some noodles and pulling them out of a bowl. ネ is the katakana for ne. A necromancer has summoned this zombie. Only a necromancer could create a three legged undead like this, because they certainly don't occur naturally with three legs. That's how you know that necromancy is involved. ノ is the katakana for "no". It looks like a really long nose. 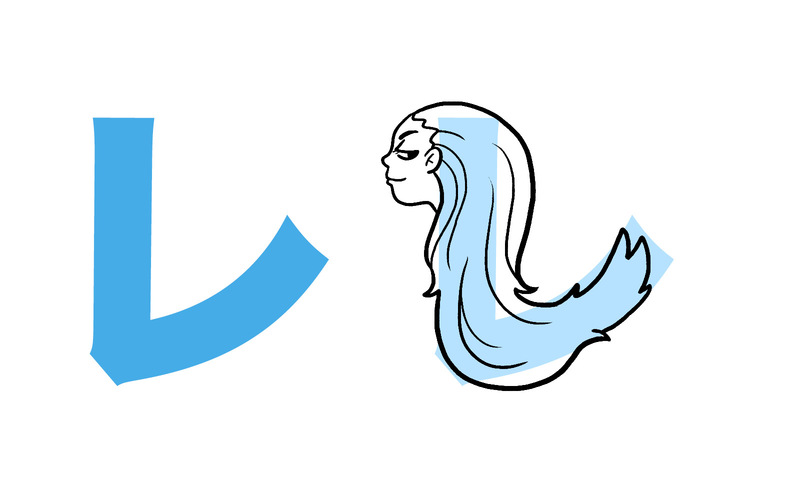 ハ is the katakana for "ha." This is shaped like one of those rice patty hats. You'll have to connect the pieces, but you can see it, right? ヒ is the katakana for "hi." He has no head, and he is reaching out for you. フ is the katakana for "fu." This looks like a big owl beak. Way too big for any normal owl, but perfect for this funny looking owl. Because of the deformation of its beak, it doesn't say "hu hu hu" like you'd expect, it says fu fu fu. ヘ is the katakana for "he". This katakana looks just like the hiragana へ. If you know one you know them both! ホ is the katakana for "ho". This is a holy cross. You can even see the holy light coming off of it. So holy. Time to practice ten at a time! It's a lot, but you're getting better at learning these things, right? Hopefully easier than hiragana was? Using Drag n' Drop Katakana, find the katakana from the ア, カ, サ, タ, ナ, and ハ columns and place them in their correct spots. Try to complete this task 5 times and get your time in under ~1 minute. Using RealKana, check theア, カ, サ, タ, ナ, and ハ, uncheck any hiragana columns, and check all the different typefaces. Then, drill the above kana for 5-10 minutes until you are consistently getting the answer right and you feel comfortable with the different fonts that they present. Copy, print out, or download this worksheet and fill in all the boxes. As always, use the mnemonics and try not to cheat. If this is starting to feel easy, try to time yourself to see how long it takes to complete each section and try to beat yourself each time. When you are done with these exercises it's time to move on to the next set of katakana. Not quite ten in this set (before the exercises), but close enough. Let's start with the "M-column." マ is the katakana for "ma". Look at all those angles! Those lengths! Those measurements! All that math! ミ is the katakana for "mi." 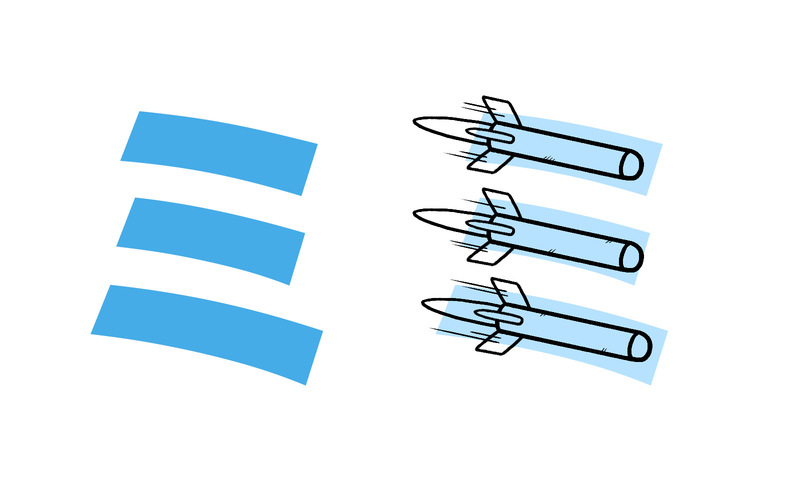 Three missiles, flying towards you. Be careful! 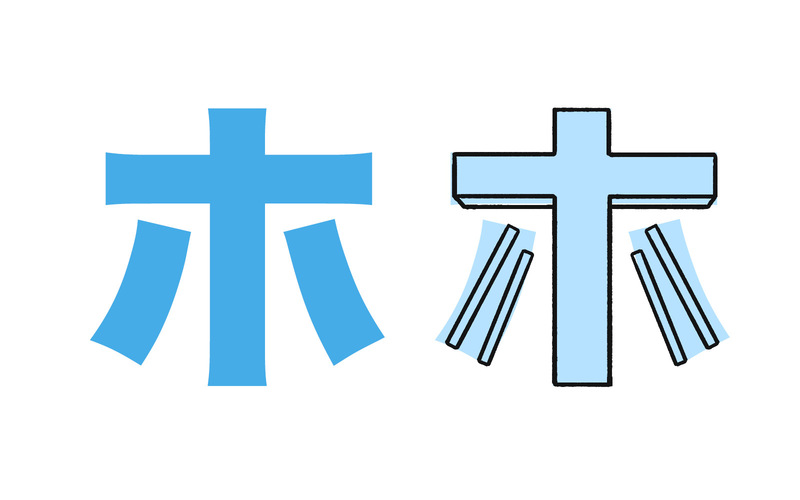 ム is the katakana for "mu". It is shaped like a pile of poop. Cow poop. Moo. メ is the katakana for "me". 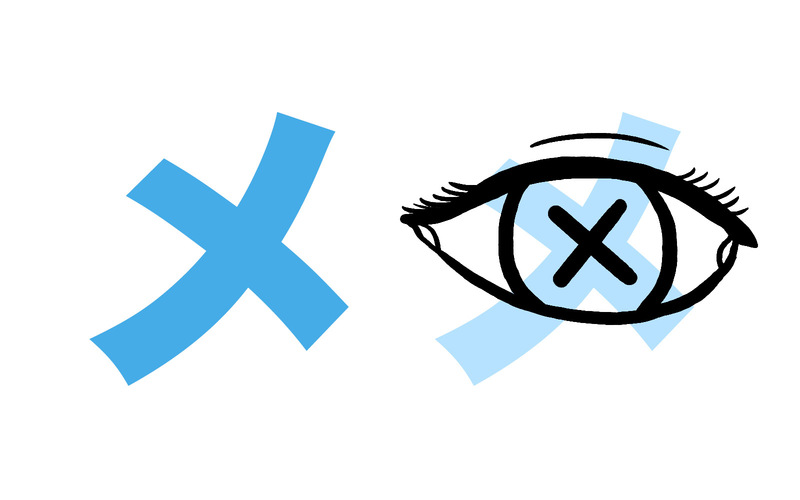 This looks like an "X" which is over someone's 目 (め/eye). Meh, I guess they're dead now. 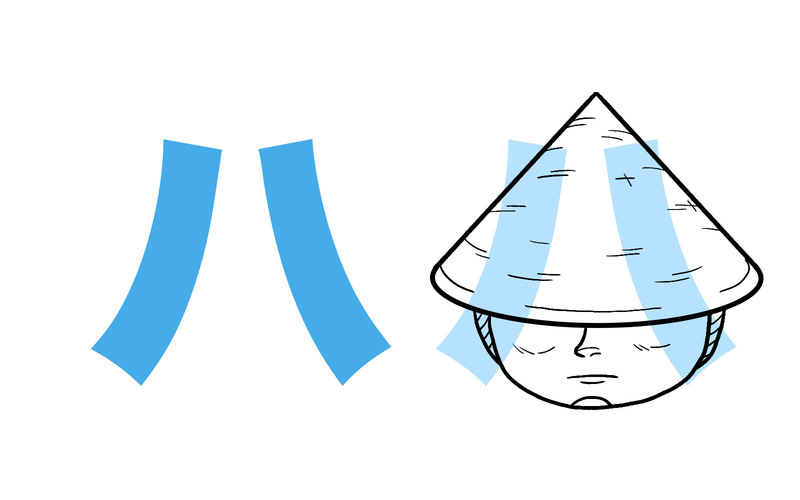 モ is the katakana for "mo". This looks very similar to the hiragana も, so you should be able to make that connection and remember both of these. ヤ is the katakana for "ya". 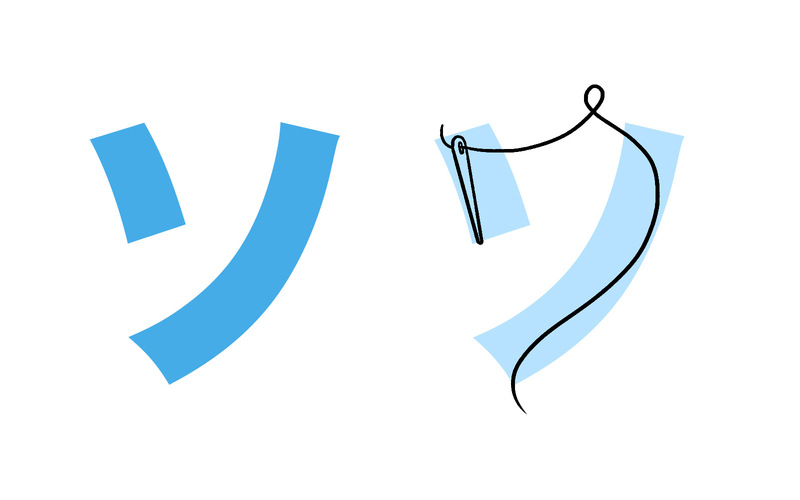 This looks just like the hiragana や, minus a little line. ユ is the katakana for "yu". You have a hook for a hand. ヨ is the katakana for "yo". This is a yogurt container. See the sides and imagine the yogurt-container shape. Time to practice these eight katakana (and the previous ones as well). Once again, go through the steps to make sure you know everything well! Using Drag n' Drop Katakana, drag the ア, カ, サ, タ, ナ, ハ, マ, and ヤ columns into their spots. You're dragging more kana than you're leaving now, which is pretty neat! Once you've done this three times, or you're able to get this all done fairly quickly (1:30 or so?) move on to step 2. Using RealKana, choose the ア, カ, サ, タ, ナ, ハ, マ, and ヤ columns, unchecking any hiragana columns, and choosing all the typefaces, drill the kana for 10-15 minutes. Using this worksheet, copy, print out, or download it and write in all the boxes. When you're all done, it's time to tackle the last "main katakana" section. You're almost there! Not so hard, right? Last set! 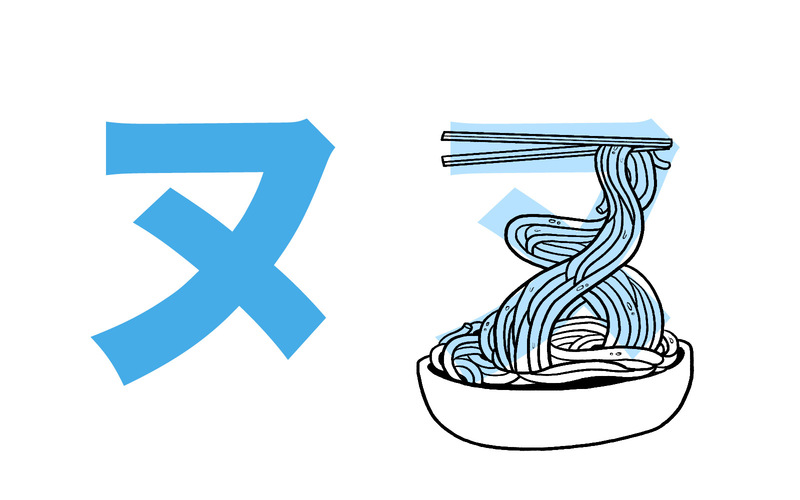 When you're done with this you can start looking at the weird katakana stuff. Some would say that's the horrible part, but I think it's fun. 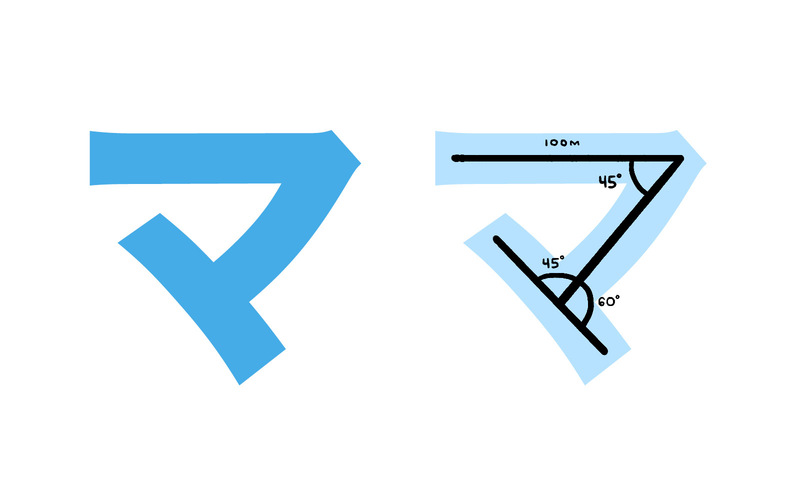 ラ is the katakana for "ra". It is a raptor wearing some sweet Ray-Bans. リ is the katakana for "ri". 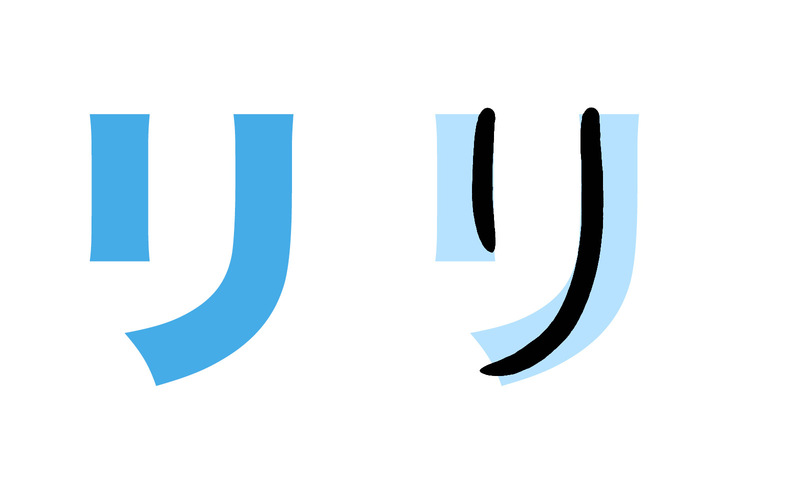 It looks just like the hiragana り, or at least very, very similar. ル is the katakana for "ru". There are two routes you can take. Route one and Route two. レ is the katakana for "re". Look at that beautiful red hair that Rei has! It's so flowing! 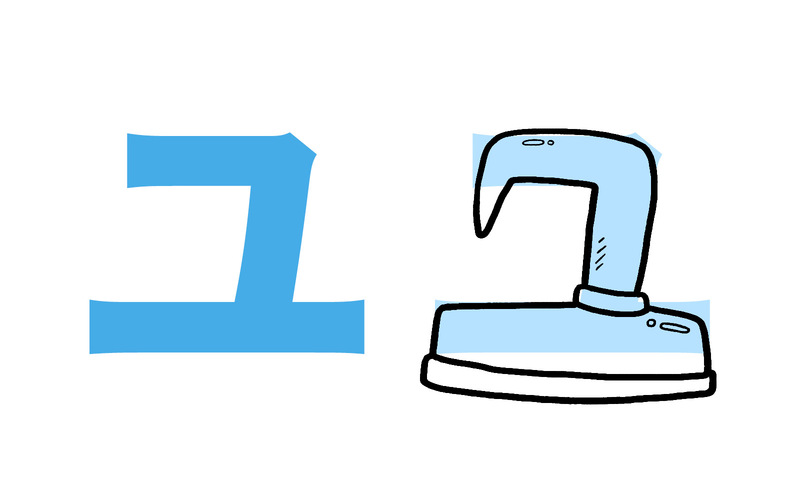 ロ is the katakana for "ro". This road goes around in a square, never ending. What a terrible road this is. What are you, a 12 year old playing Sim City? ワ is the katakana for "wa". When you ask a question (that's why this is a question mark) you often begin your question with the word what. What are you doing? What are you wearing? What are you not wearing? ヲ is the katakana for "wo". It's pronounced like を is (which is pronounced like お), but to remember this is "wo" think of a dog woofing so hard its tongue is flying out. ン is the katakana for "n/m". Do you remember how シ is a lady with a weird face? 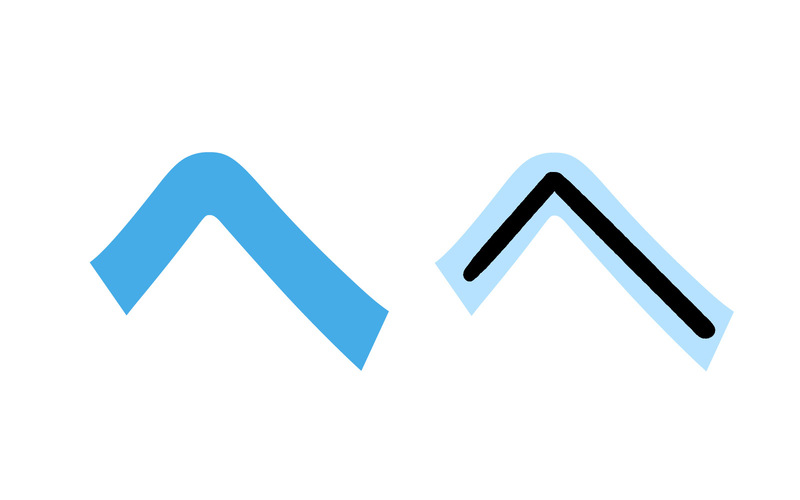 The two little dashes are more horizontal than vertical, which helps us to know it's a face. Who's face? This is M/n Night Shyamalan, and the twist is that he only has one eye. NNNNNNNNNnnnnnoooooo! This is the last of the main katakana. The exercises will now cover quite a bit (you know quite a bit! ), so make sure you understand and know everything before moving on. Using RealKana, choose all of the columns up through ン. Drill for 10-15 minutes until you feel like you can recall pretty much everything. 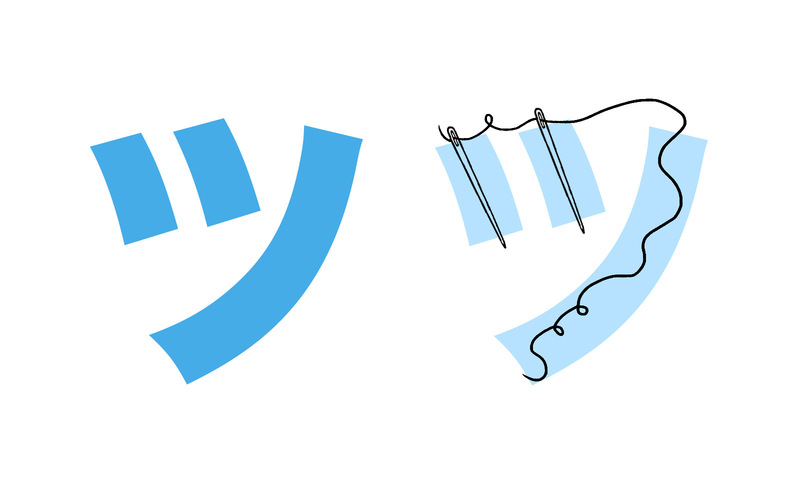 Using Drag n' Drop Katakana, drag the all of the kana into their spots. Try to be able to finish it in three minutes. If that's too easy try two minutes. Two minutes should be difficult but more than doable. Using this worksheet, fill in all the blanks. You know the drill! That's it! From here on out it's just combinations of kana or variations on kana you already know, which makes things both easier and harder. Let's start with katakana's dakuten. But, there are some katakana out there that you can dakuten that aren't the standard fare. Actually, the Japanese can't pronounce the "V" sound very well, so it comes out as a "BU" sound. That's as close as they can get. But, when you combine that with some small katakana (next section), we can make a sound that almost, but not quite, sounds like a "V". 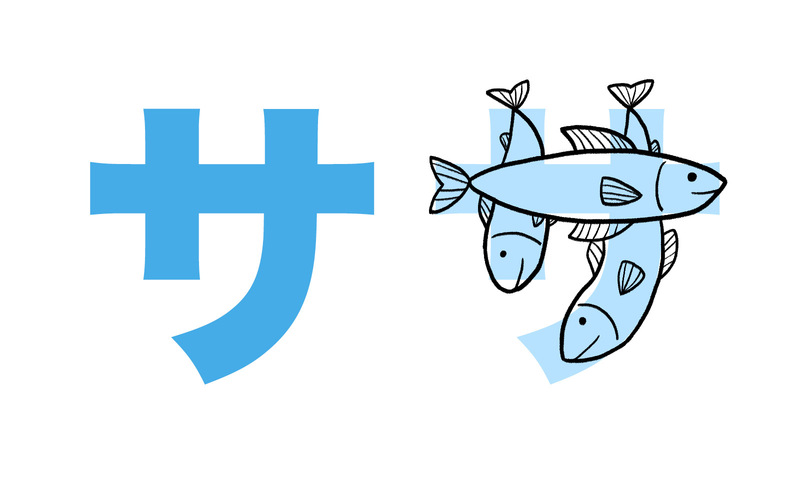 Just like with hiragana, you can combine small katakana with big katakana to make new sounds. It gets a little trickier with katakana though. Let's start with the part you do know (from the hiragana guide) first. 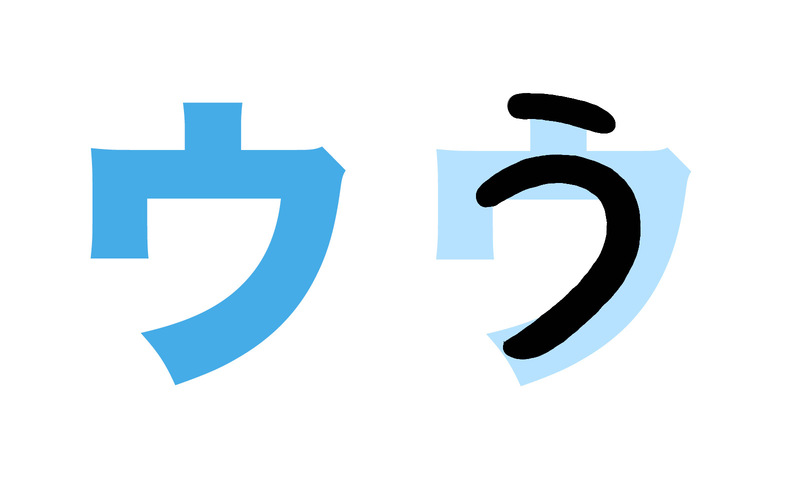 With katakana, combinations don't stop here. It gets… weird. There are many sounds commonly used in non-Japanese languages that katakana needs to try to account for. The most interesting example of this is the sound "V". The closest thing in Japanese? Bw~ sounds. In addition to this, there are "W" sounds that need to be added in as well. As you know, the kana only cover わ and を, and を isn't really a sound that's used, it's only used as a particle. So, we have to make up for the missing wi and we, and then replace the wo. You may recognize the ウィ sound from The ニンテンドーウィ (Nintendo Wii). The third big set is "F" sounds. All that exists in Japanese for "F" sounds is "fu." So you use "fu" to make all the other "F" sounds you need. The most important thing right now is to be able to read these extra combinations and know they exist. You'll see some of these pretty often, which means that through experience they will get natural. It's just one of those things you have to use and experience to become comfortable with it. I think the main problem is that they're foreign… but not completely foreign. They're based off foreign languages, probably a language that you know, which means that these sounds (and the rest of katakana) are asking you to break your own language and speak it incorrectly so that you can speak it "correctly" in Japanese. It's a weird conundrum. 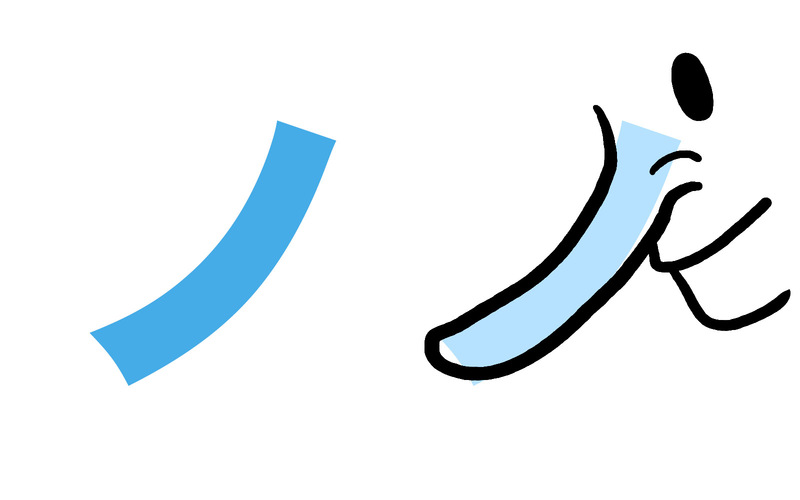 Unlike hiragana, which deals with long vowels by adding more vowels to things, katakana has a special vowel extender character. Luckily it's very simple: a dash. This is pretty much the same thing as こ versus こう, though it would be odd to extend the vowel of a foreign word by using another vowel kana (at least most of the time). You'll see this dash a lot in katakana. Knowing how and when to use it, especially when you try to "spell" out words you don't really know the spelling of, can be challenging. With a lot of experience, mistakes, and even more experience you'll start to understand when and how to use it. For now, just focus on reading it correctly. That part is much easier, and that is the part that will give you the experience you need to reproduce it later on. Although you can probably read most katakana words now, there's a little more you should do before going out into the real world. Try to do everything in the "Additional Practice" section. 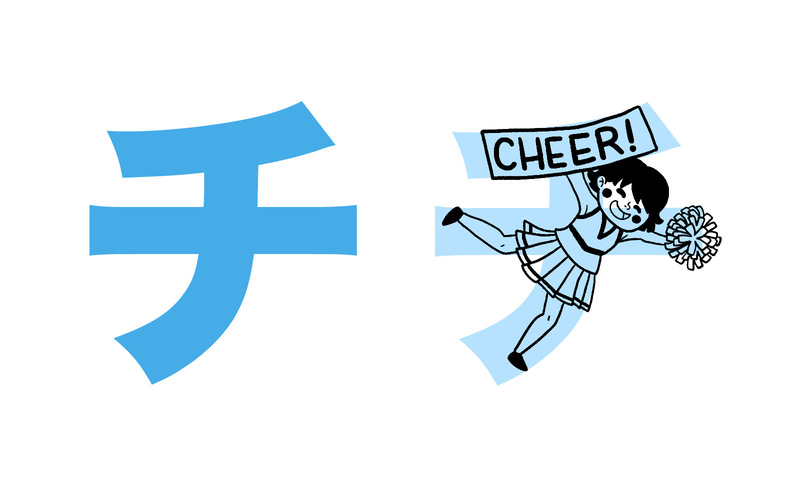 It's for your own good and it will make katakana reading a lot less overwhelming. First, I'd like you to go back to our dear friend RealKana. This time, check all the boxes. 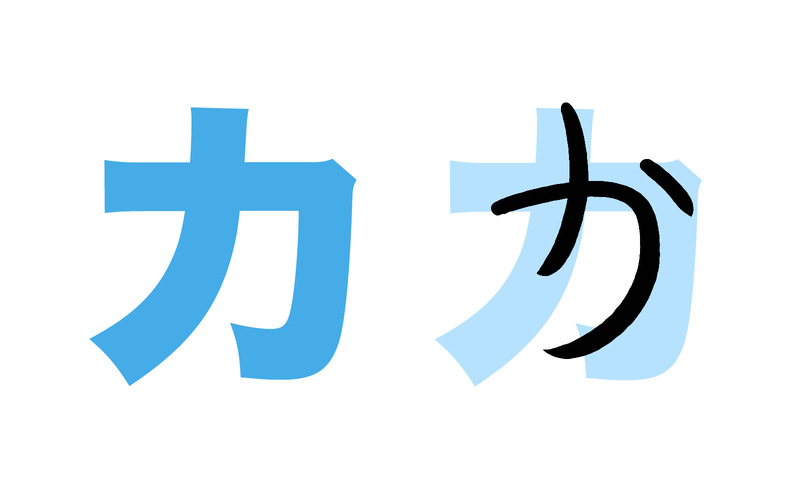 The hiragana, the katakana, and all the typefaces. 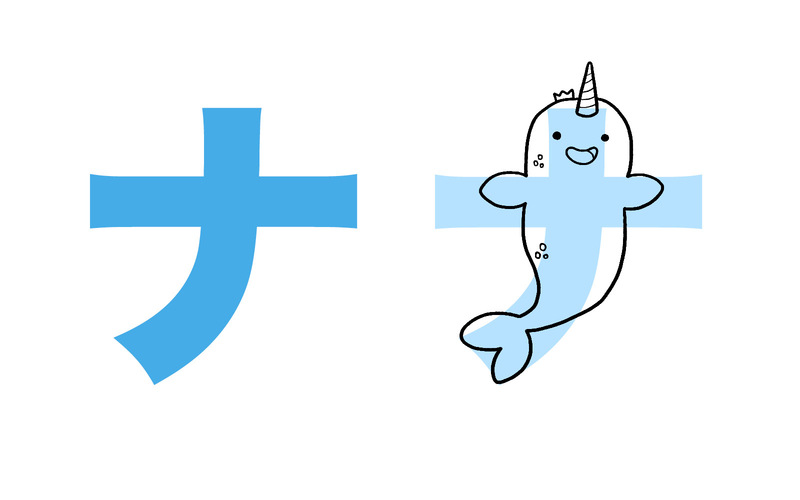 Studying hiragana together with katakana will help you to be able to use them both together. In Japanese, you'll see katakana, hiragana, and kanji all in one sentence. Might as well get used to that now. When you feel comfortable with that, it's time to practice with some worksheets. They're a bit different from the other worksheets in that they're "real" sentences and we're not keeping track of the frequency of the kana being used. It's a bit more like real life… with a nice protective bubble. Don't worry a ton about the meaning, but if you can figure it out that's extra points for you! It's all in "English" … though it has been converted into Japanese pronunciation using katakana. When you finish this, I bet you'll be feeling pretty special, like some kind of katakana master. 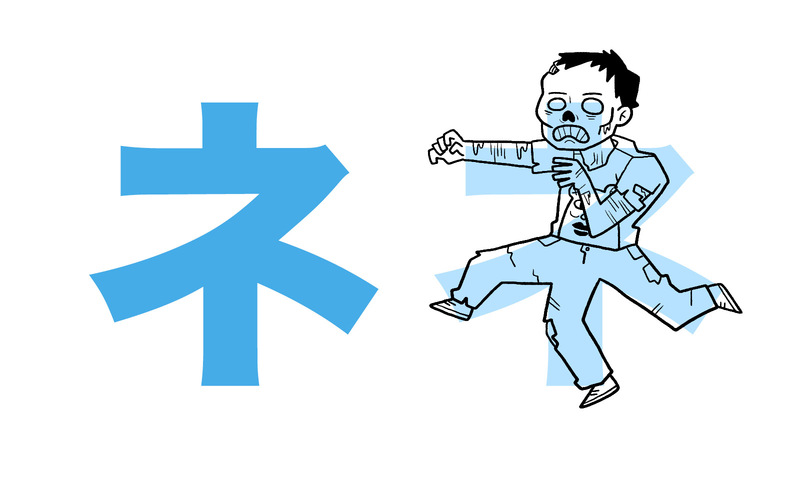 If you don't (or even if you do), here's some more katakana practice that's worth doing. There are plenty of apps and resources out there to help you drill as well. Some of them you've seen already because of this guide, others you have not. I'm sure there are plenty of other resources out there as well, but this should be good enough to get you to that level where you can start using the katakana with other resources. What Next After Learning Katakana? For most people, becoming comfortable with katakana is a slower process than it was with hiragana. This is mostly because katakana shows up less frequently compared to hiragana, so you don't have as much opportunity to practice. Despite not showing up as often, it is still very important. If you can spend an extra 3-4 hours really studying katakana you'll save yourself 20+ hours in the future, just because katakana won't slow you down. It's worth studying now so that you aren't tripping up later on. After learning katakana, though, what should you do (besides studying katakana more)? If you haven't started kanji, get started right away. If you like the approach we took here (mnemonics, etc) we made WaniKani to show people that kanji isn't as hard as it seems. Along with kanji or after you have a foundation in kanji, it's time to learn some Japanese grammar. There are many resources to help you to do this. We made TextFugu (an online Japanese textbook) for this, but there are other sites like Tae Kim's Guide To Japanese as well as textbooks (we like the Genki series). I hope this guide helped you to learn katakana effectively and quickly! Keep working hard and you'll continue to get better and better. 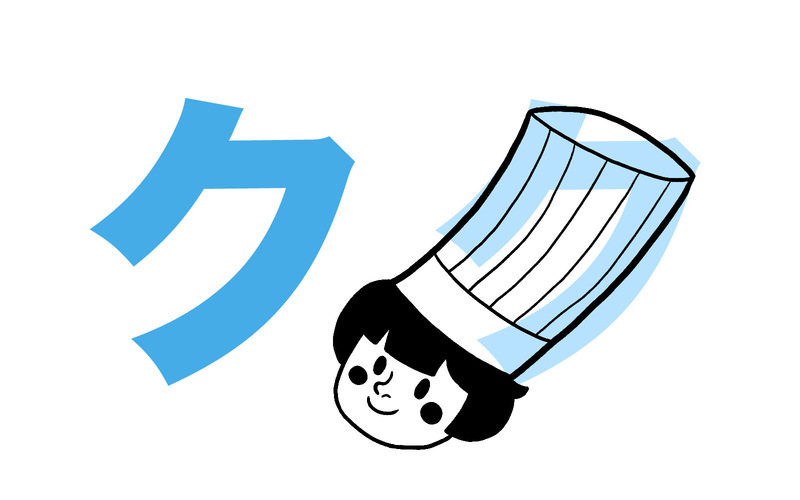 With katakana you'll be able to read foreign words, read a lot of menus, onomatopoeia, and much more. Keep it up and soon you'll be able to read everything! Top 10 REAL Pokemon You Can Find in Japan!